O.C. 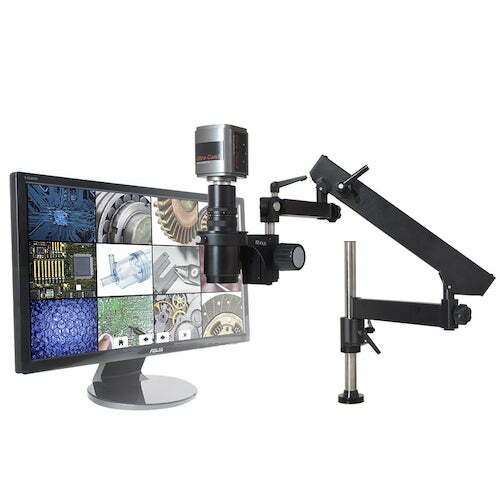 White MacroZoom series is a specialized ergonomic inspection system that pairs a large magnification range, with unheard of working distance, depth of field (area vertically in focus) and user control. 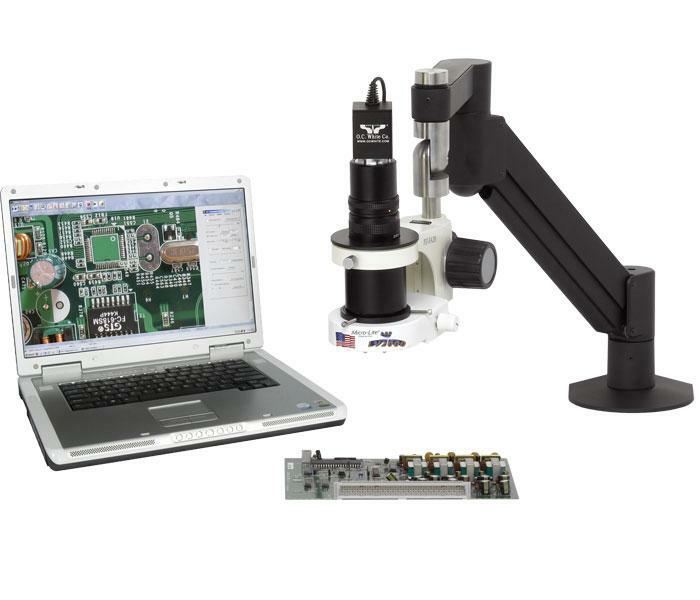 These systems fill the need for large field of view inspection, as well as almost unlimited working distance. 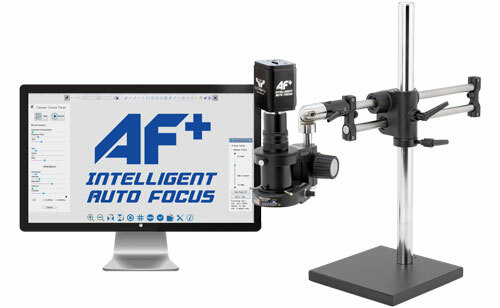 It also features a variable focal optical design, which allows almost instantaneous refocusing at any height. 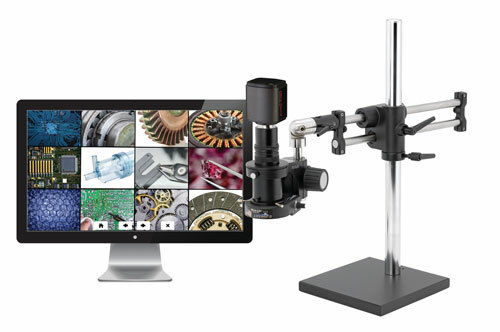 The MacroZoom inspection systems combine HUGE working distances, with magnification levels up to 60x. This versatile lens system is at home in nearly any application. 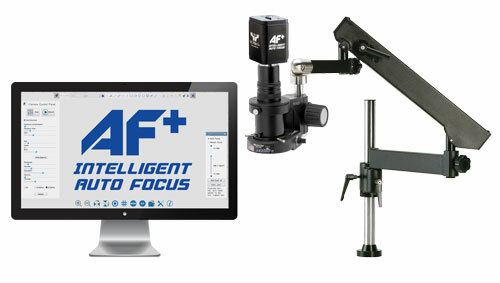 The exclusive 24" tall ball bearing base allows for supreme working distance adjustability on the production bench. 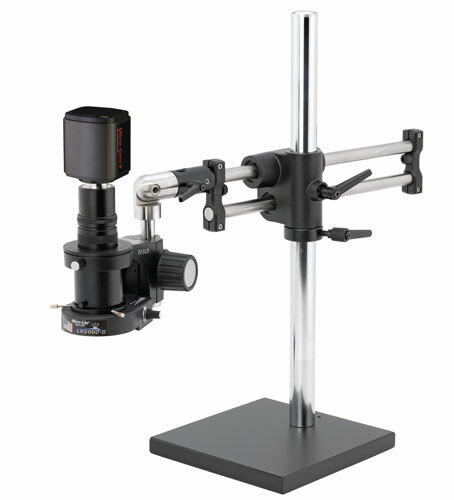 This lens is also available on an articulating arm, for true 'one touch' repositioning. With every MacroZoom package, we include a 'close up' lens. When installed, the working distance of the package is 6-12", and the magnification range of up to 80x. When removed, the sky is the limit for working distance! Though not reality for many applications, it is possible to still have a clean, focused image over 5' of working distance… unheard of! We also now include a simple ring light adapter with each lens, for installing after removal of 'close up' lens, so you still have a place to mount your illuminator of choice!